What is Flight Accident Insurance? 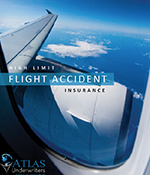 Flight Accident Insurance provides essential travel protection, covering you against an accident while traveling as a passenger on a commercially licensed flight. 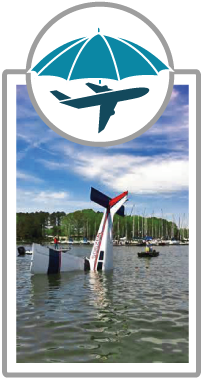 The primary focus of an air flight accident plan is to protect your family and loved ones in the event of your death. However, you can add a dismemberment rider to your policy which will cover you from loss of limb. Anyone who travels frequently by air should really consider flight accident insurance, its valuable insurance protection at a low cost. How does Flight Accident Insurance Work? A flight accident insurance policy will pay the sum insured in the case of a dismemberment or death due to an air flight accident. In the event of death, the full benefit amount is paid to your family or beneficiaries. If you become dismembered, lose sight, or are permanently paralyzed, the policy will pay out a factional predetermined amount. A flight accident plan does not provide coverage while on any other form of air transportation other than on a commercially licensed airplane.